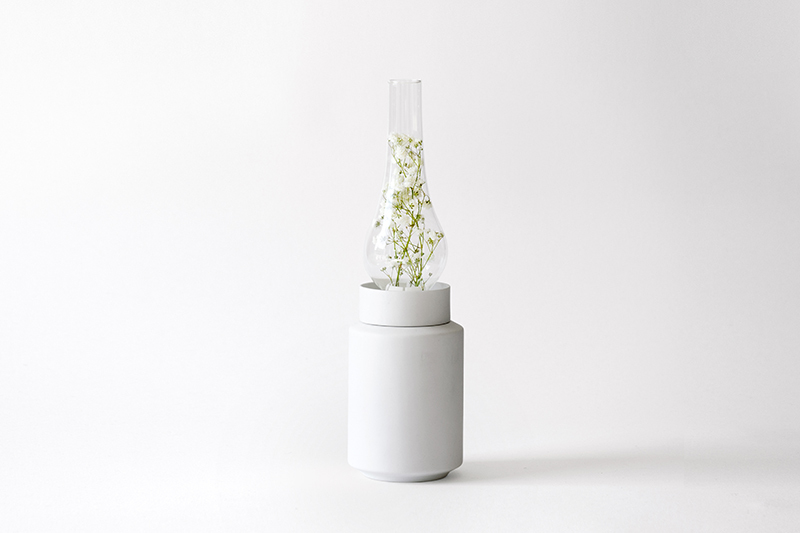 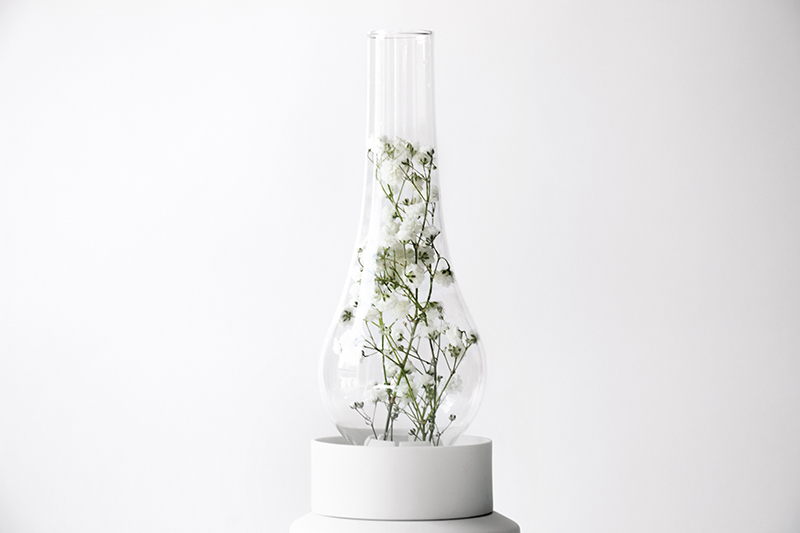 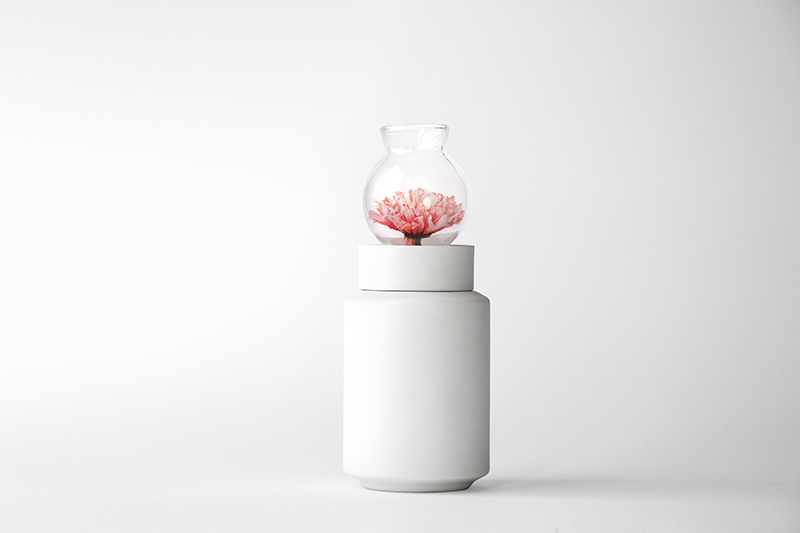 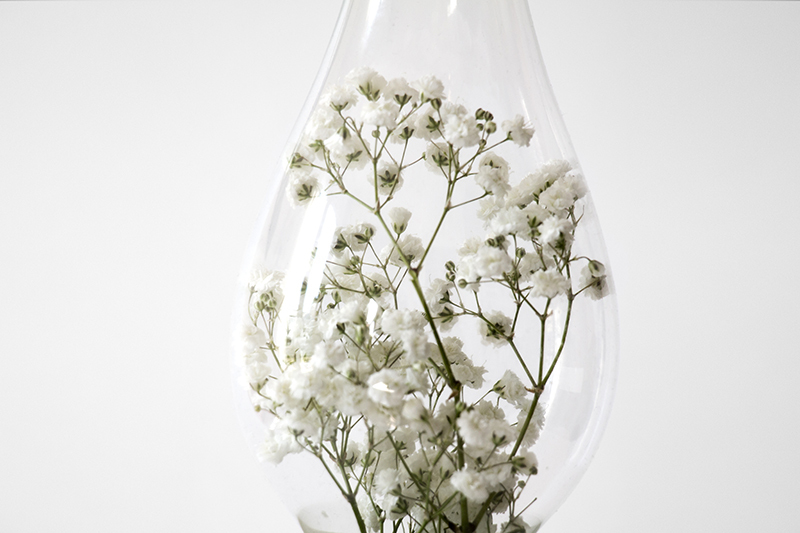 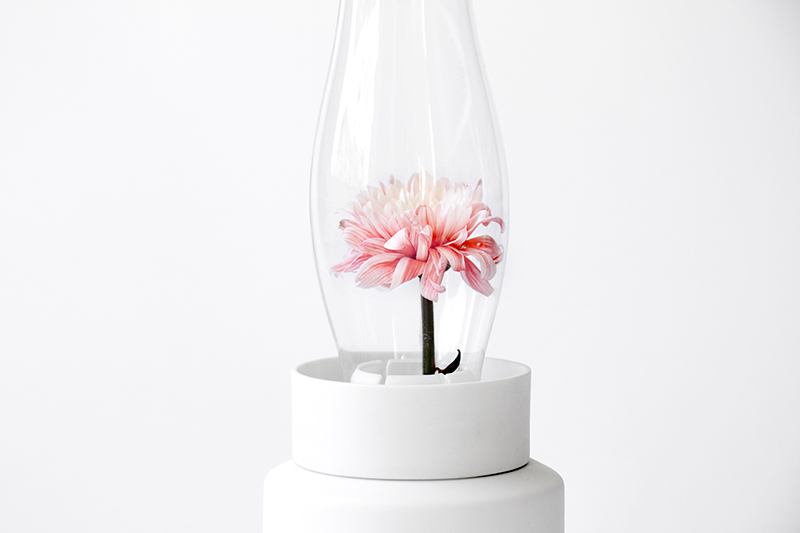 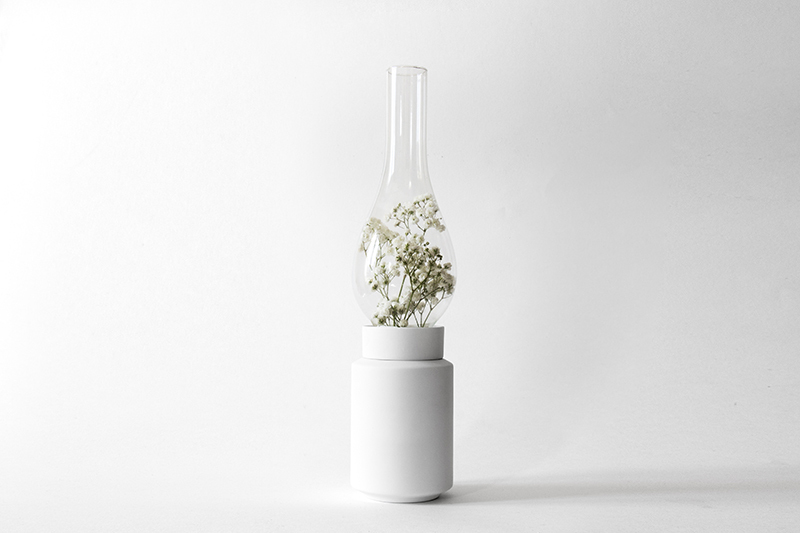 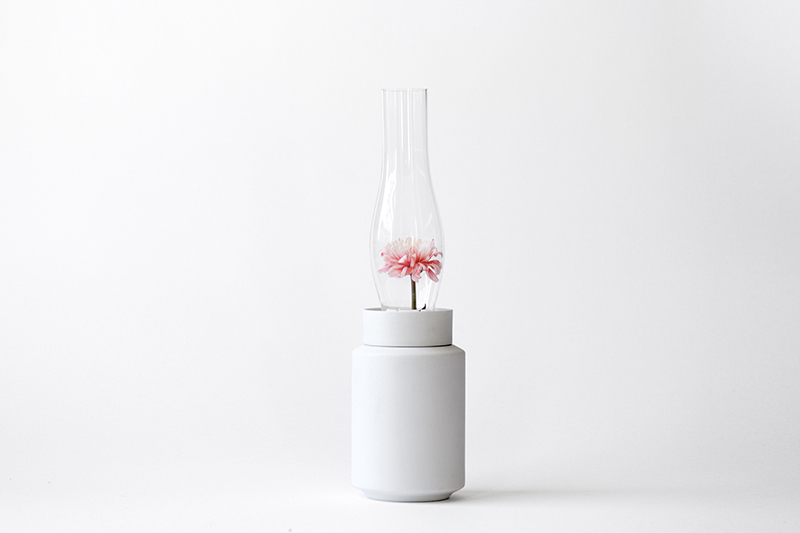 Experimenta transforms flame into flower, and fuel into water, reinterpreting old oil lamps and changing them into different kinds of vases. 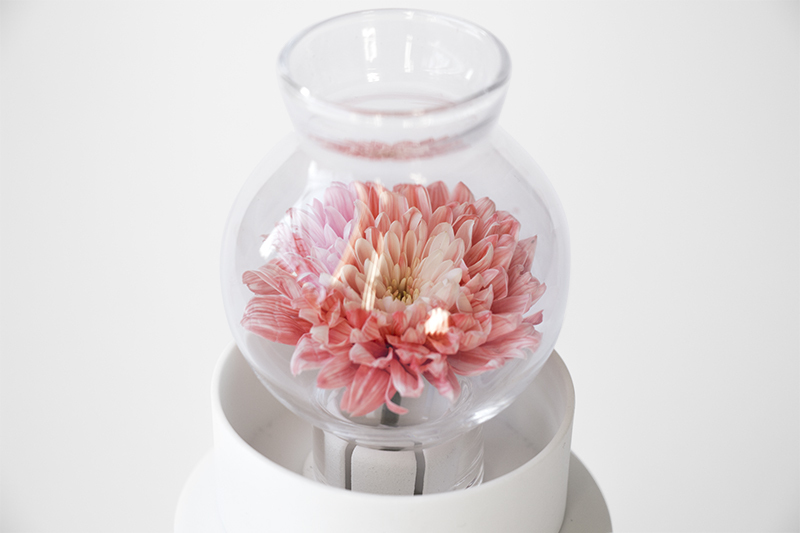 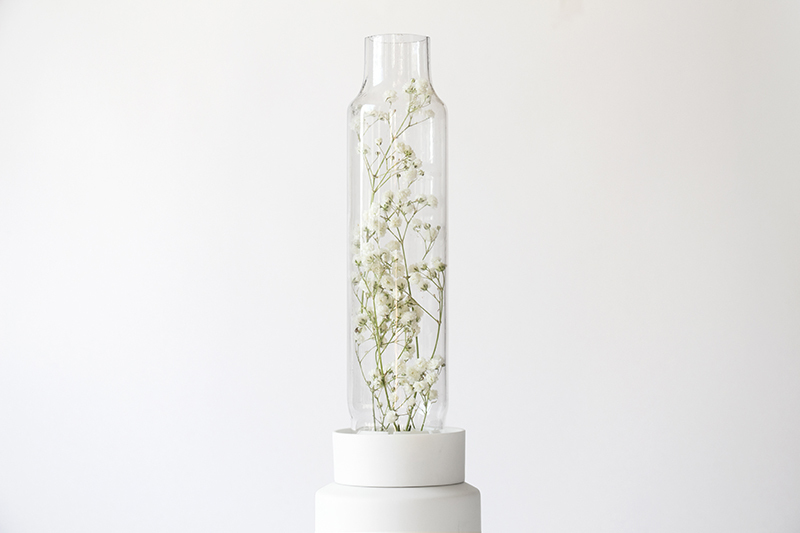 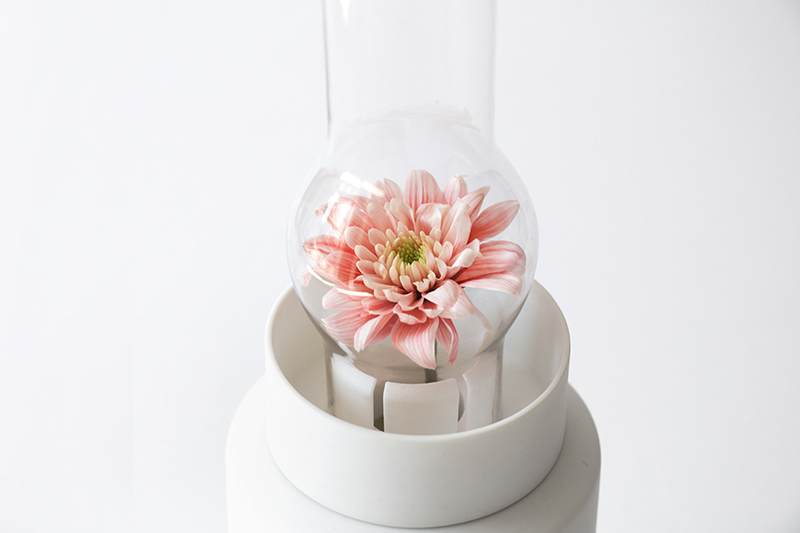 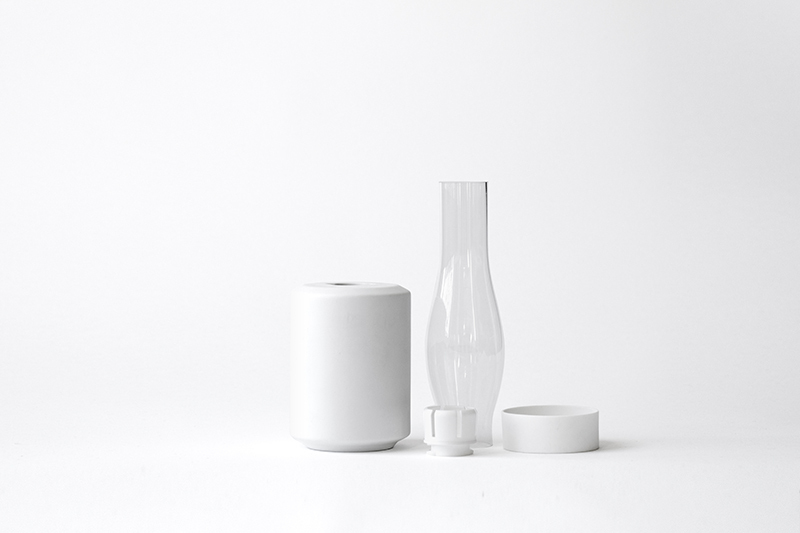 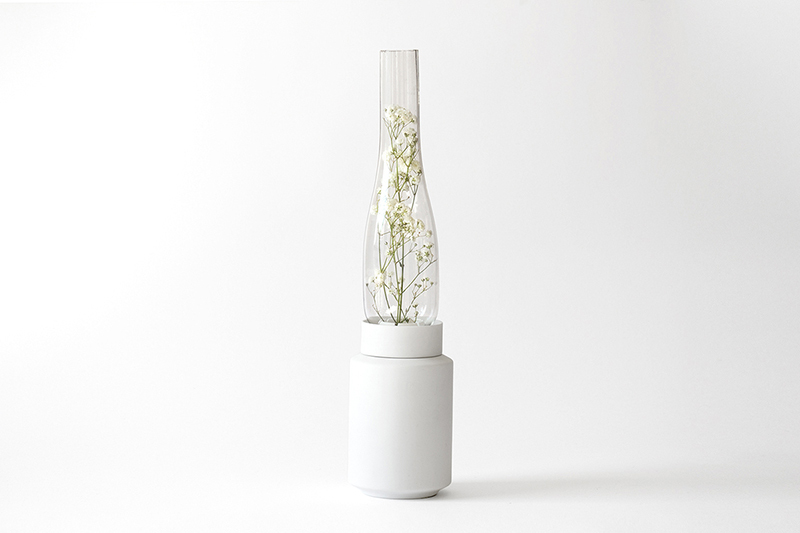 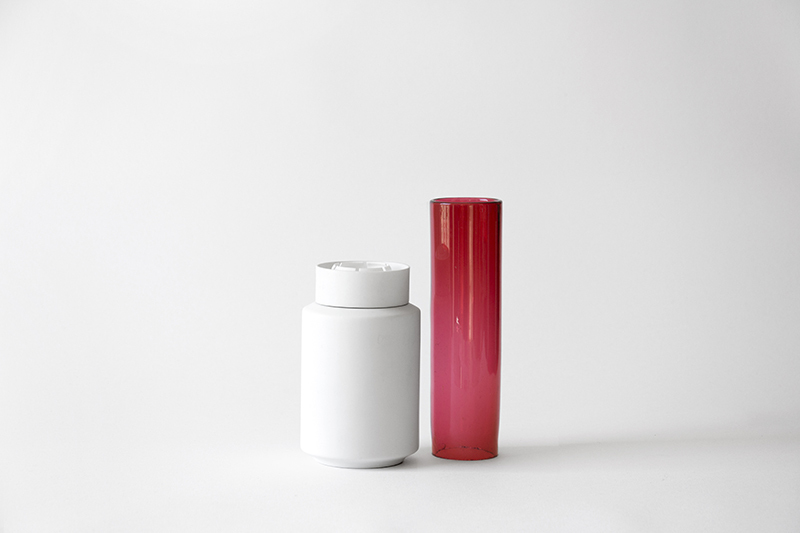 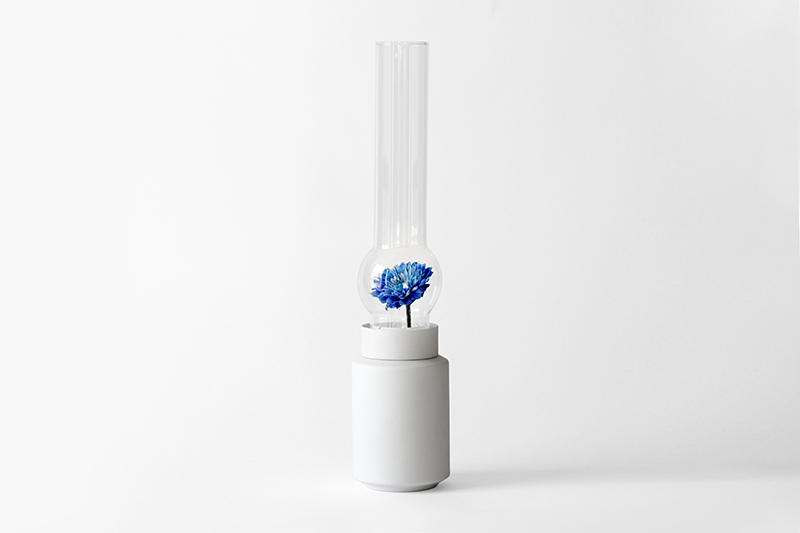 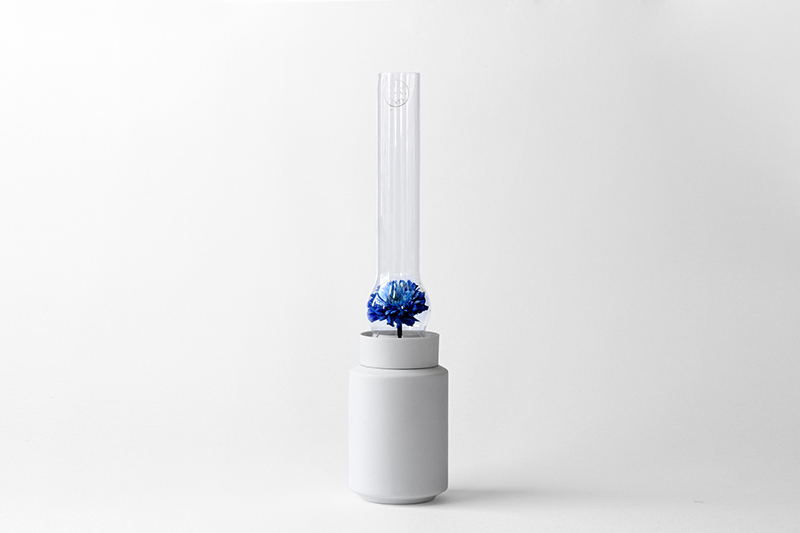 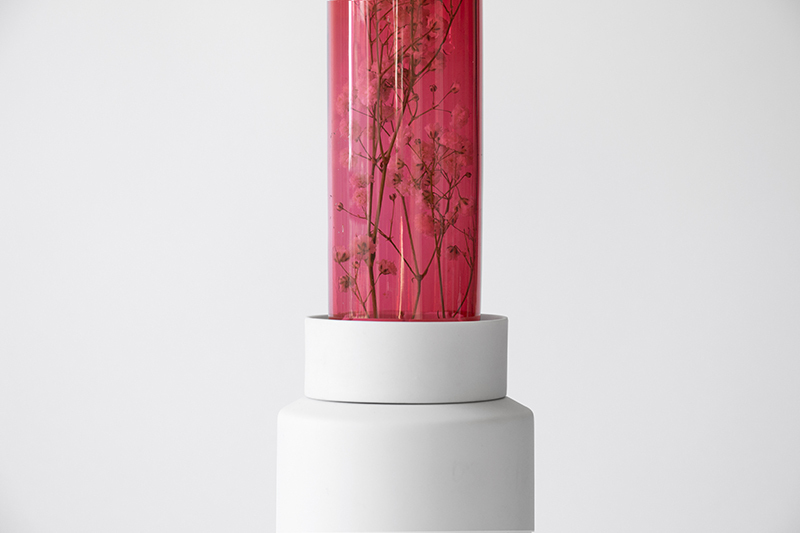 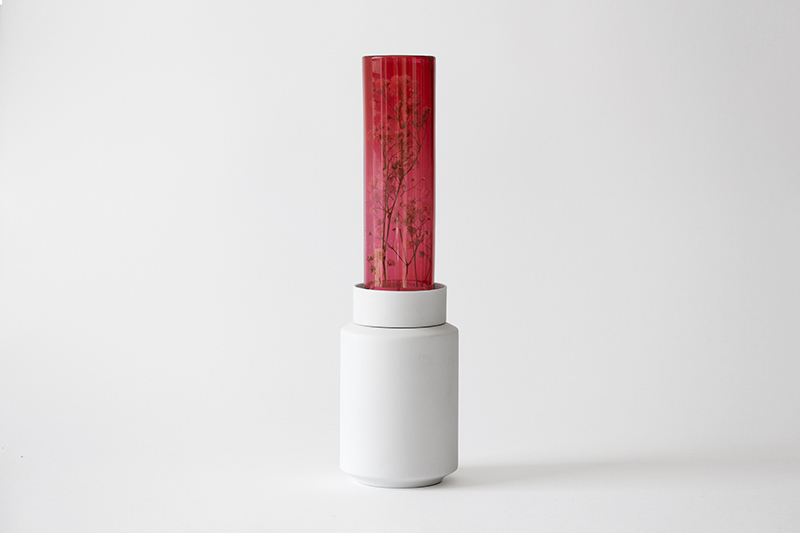 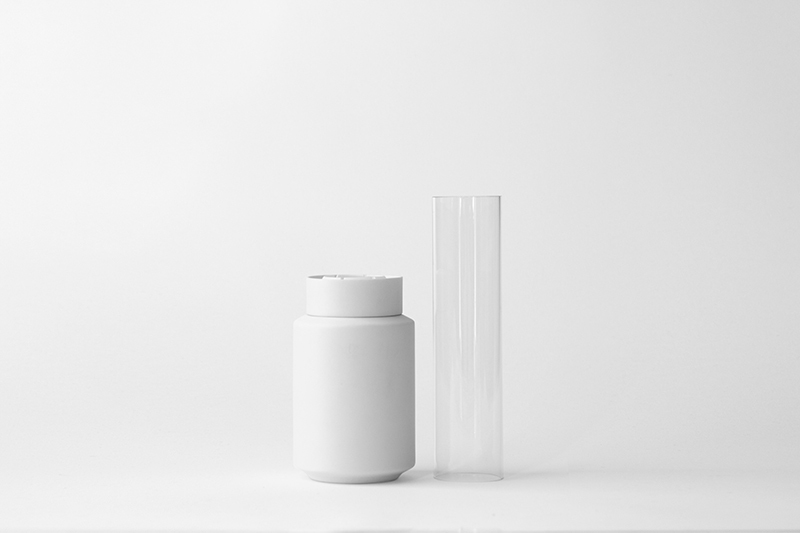 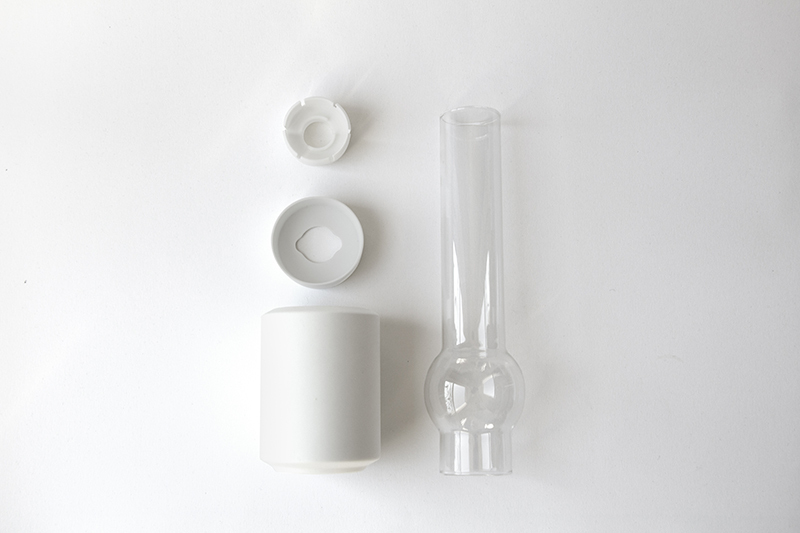 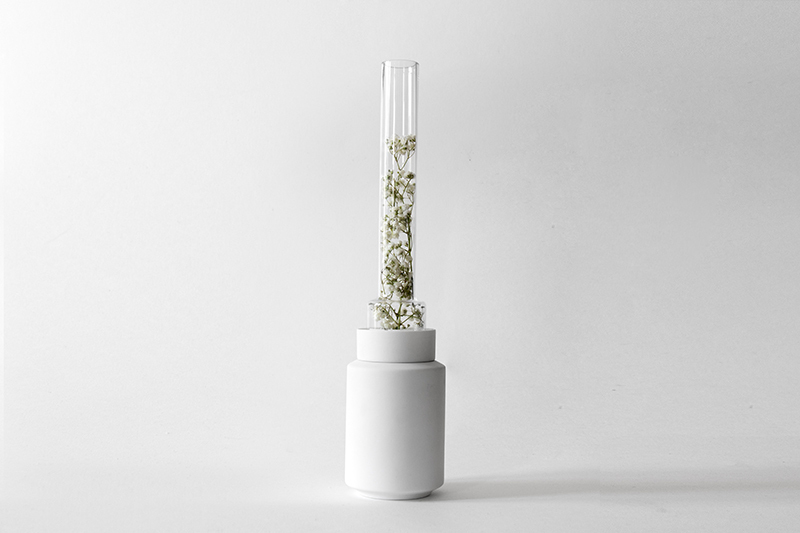 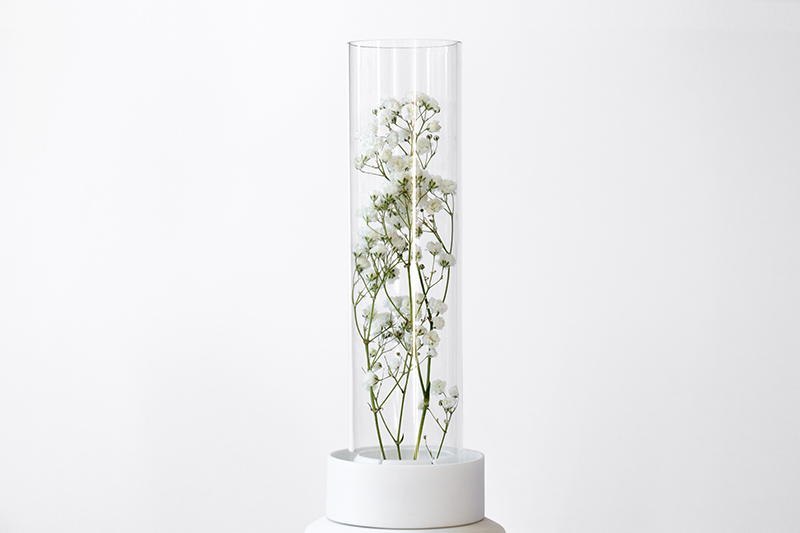 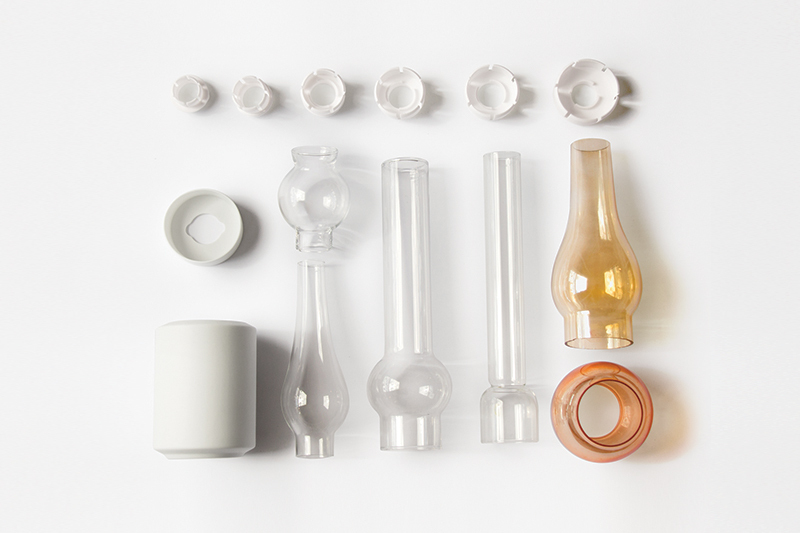 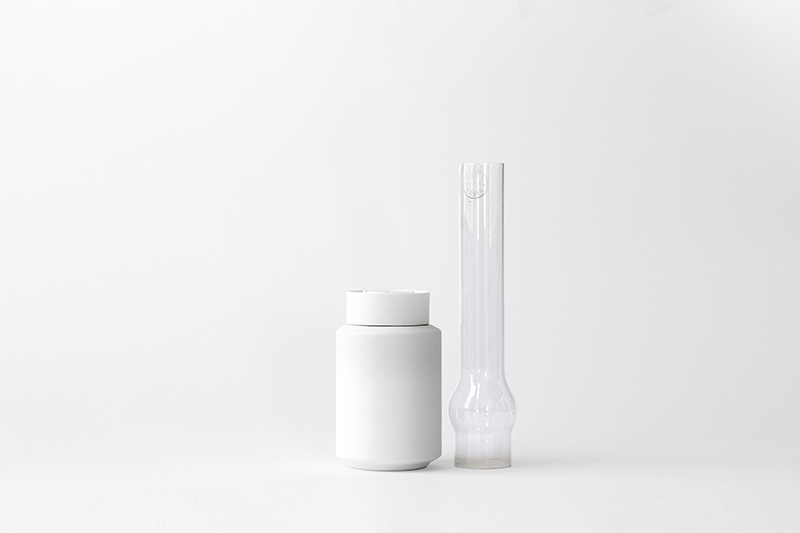 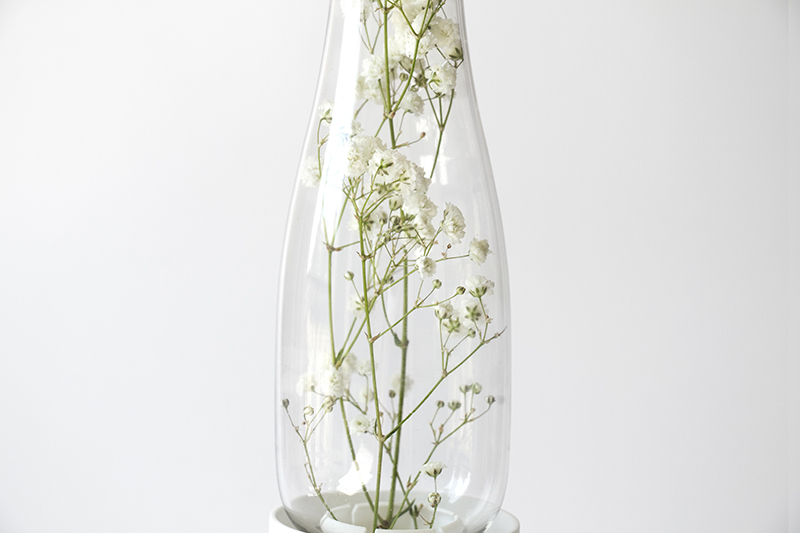 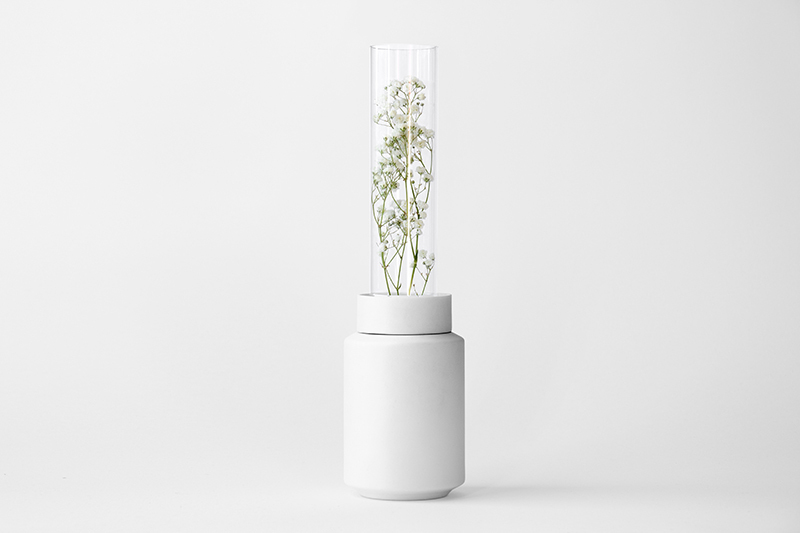 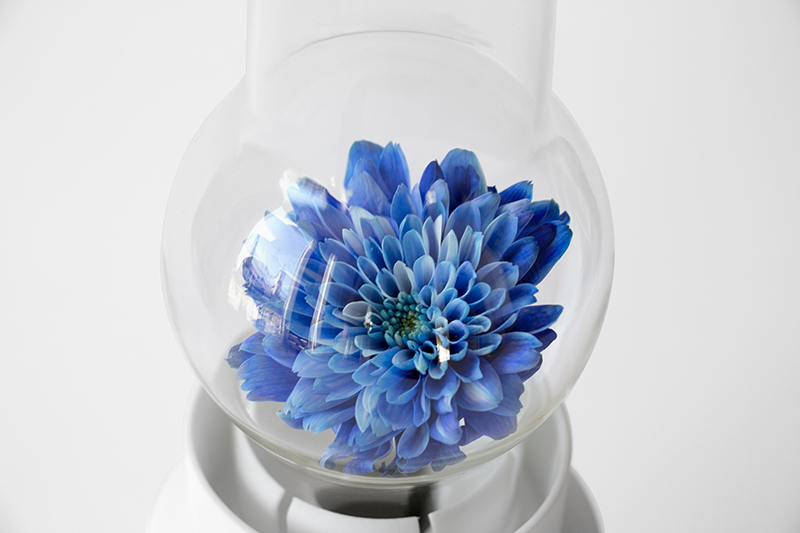 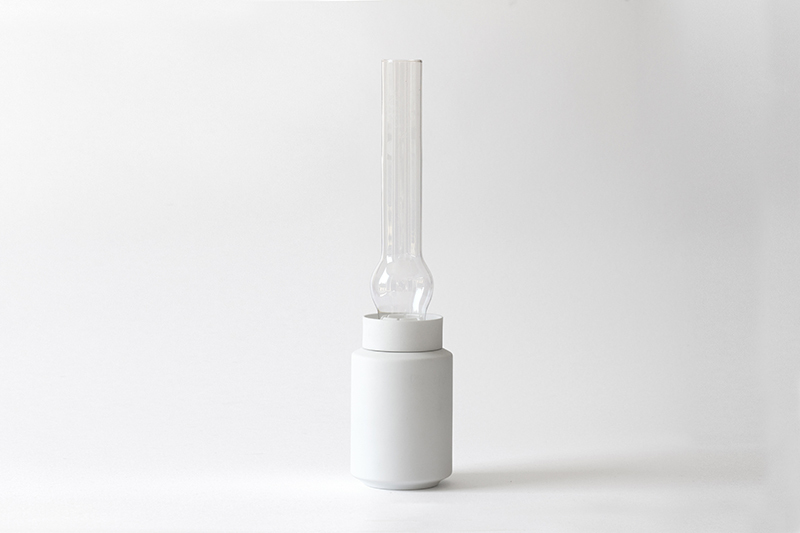 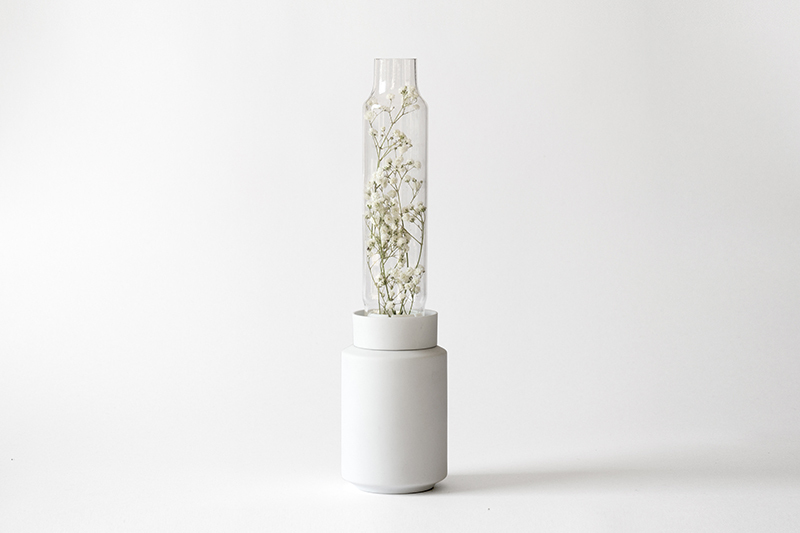 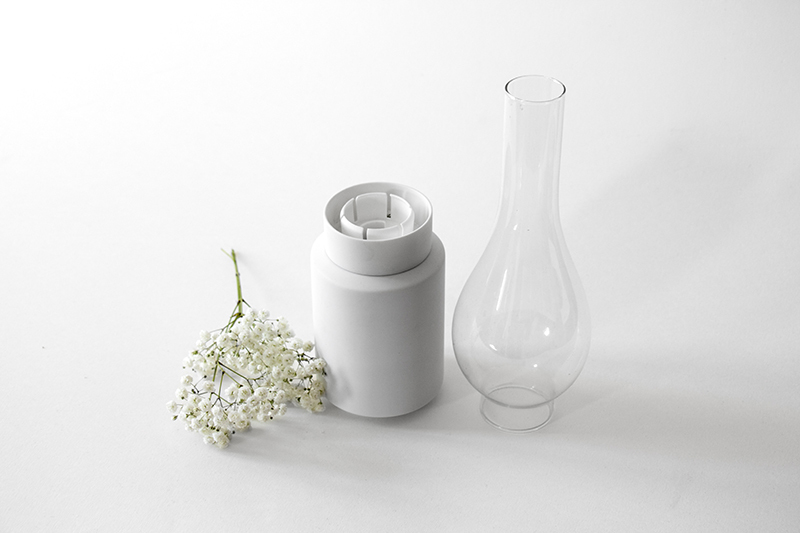 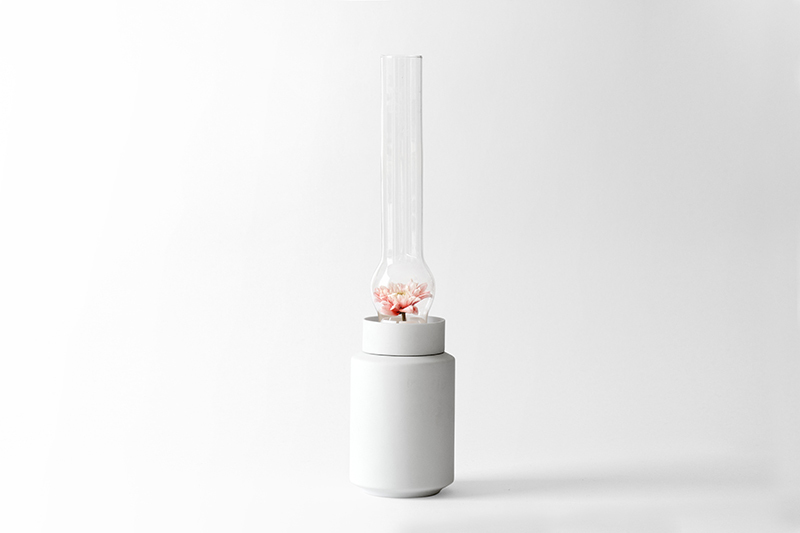 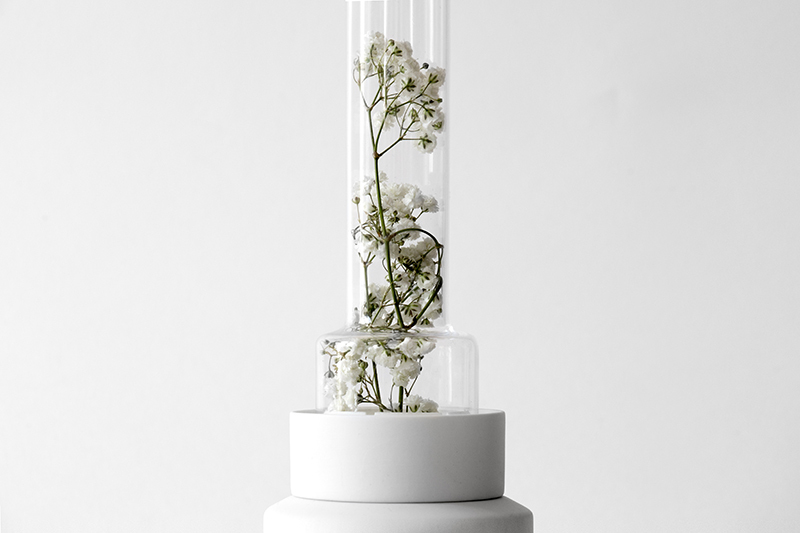 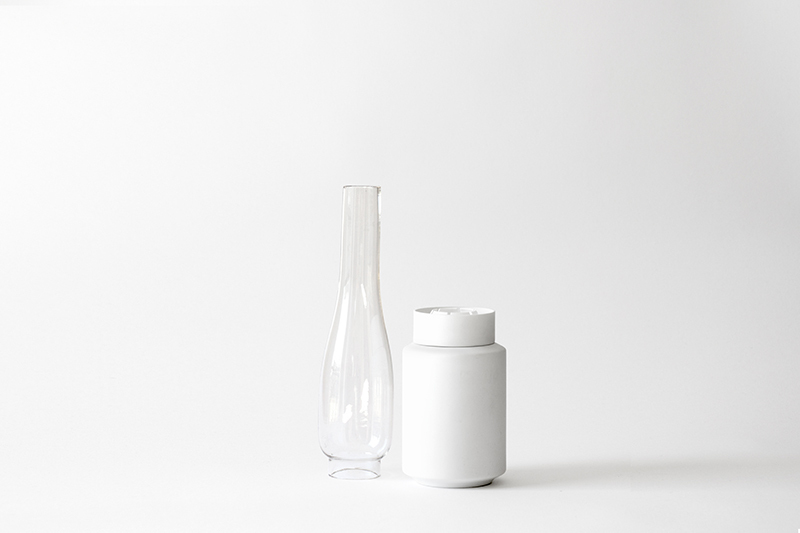 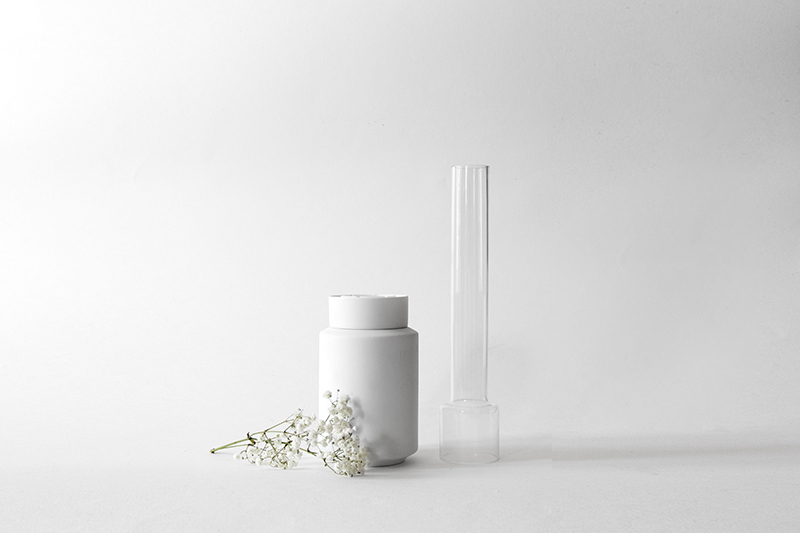 Each vase comprises a cylindrical container, made using the glass from oil lamps, along with a plastic ring and a series of adapters that allow it to be fixed to the container, making it more stable. 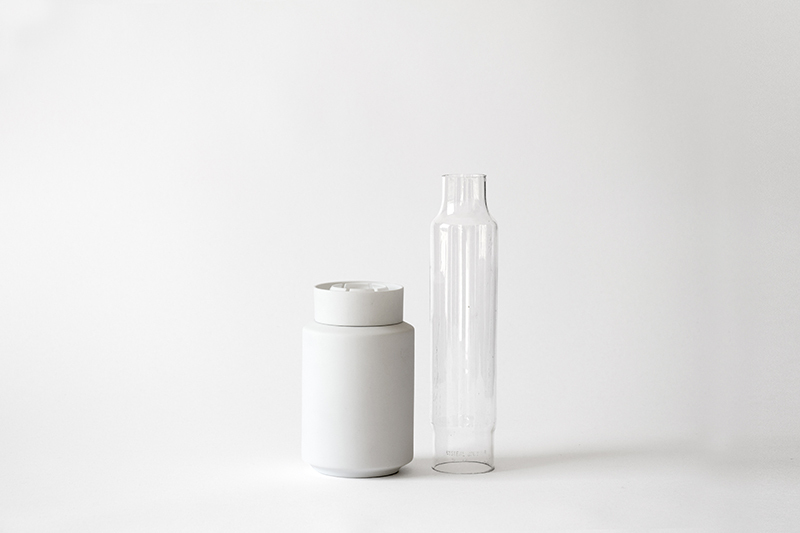 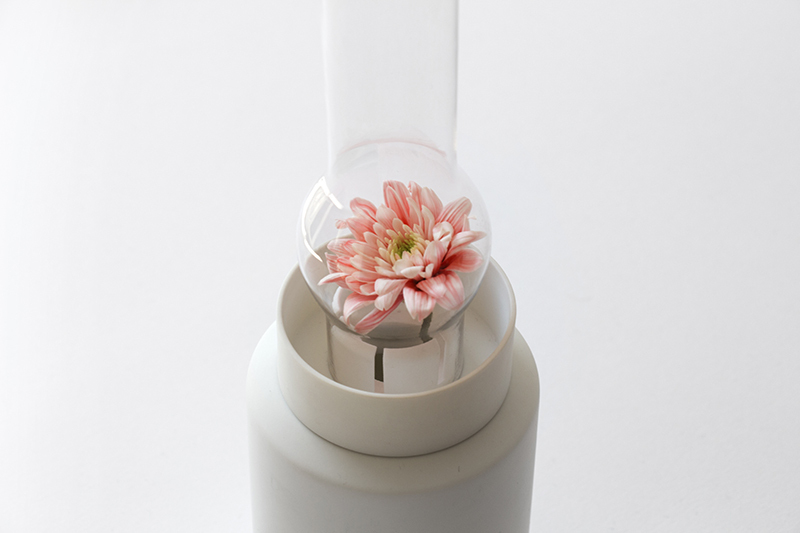 Currently, there are two families of vases in production. 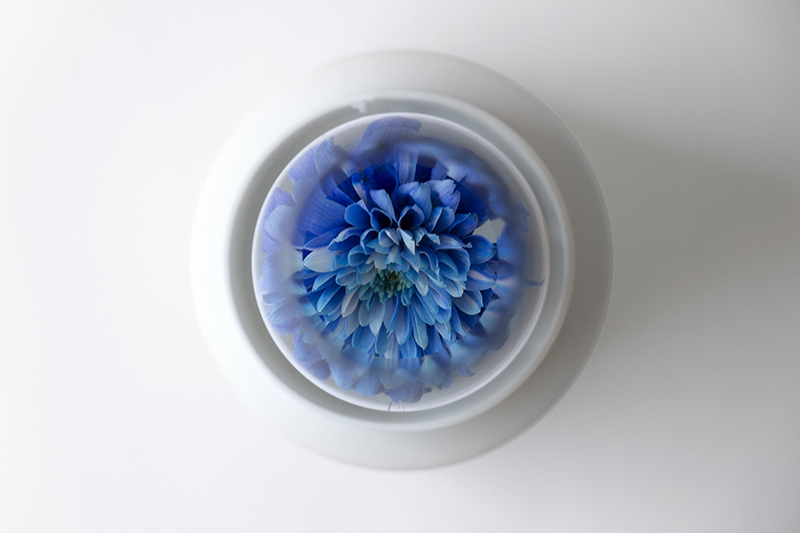 I created a series using a classic craft technique, the moulded porcelain, and another using a contemporary approach that involves rapid prototyping technologies. 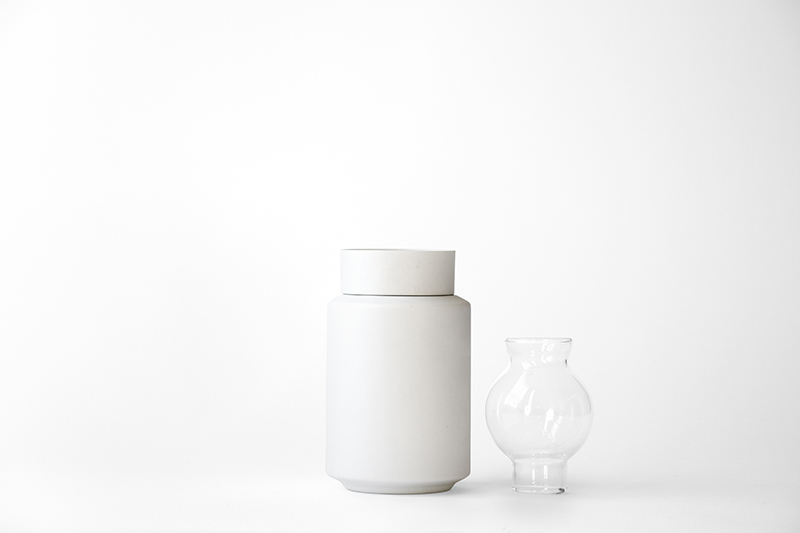 Today I introduce the vases with ceramic body produced by a factory in Limoges using brushed porcelaine with “biscuit” finition. 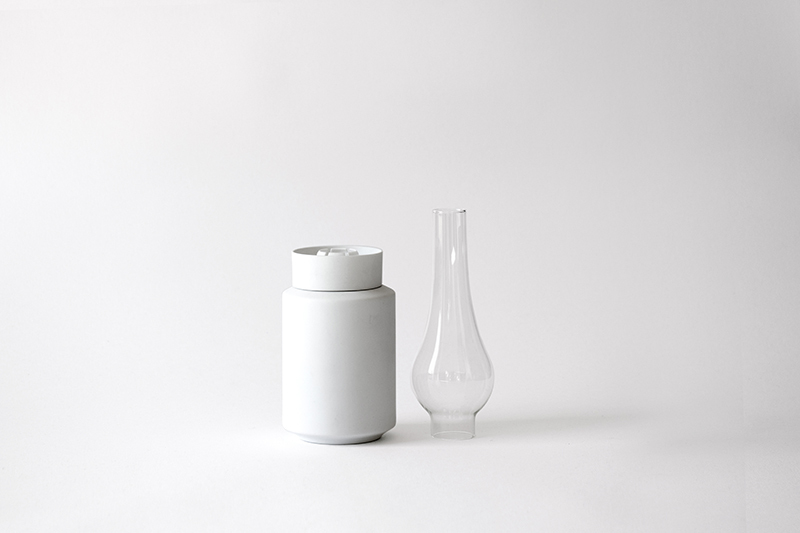 The are two types of vases: the unique pieces, with chimeneys purchased in shops that specialise in selling oil lamps, in flea markets, and in antique shops; the standard ones with chimneys bought from different resellers.